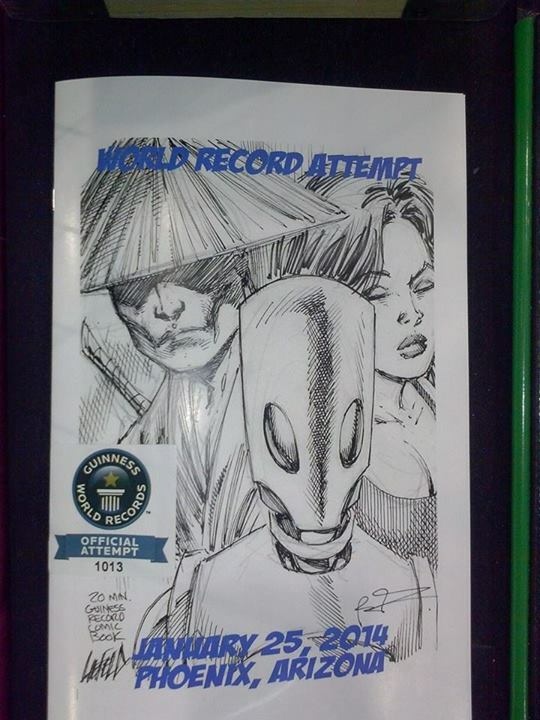 One of the crazier things that happened this weekend was that I participated in a successful attempt to break the Guinness World record for “quickest comic ever produced, with the most collaborators”. Other participants included Rob Liefeld, Sina Grace, Marc Silvestri, Kyle Higgins, Paul Jenkins, Tony Parker, and literally about 99 other comic book professionals. I dunno, man. Stuff gets crazy at Amazing Arizona Comic Con.